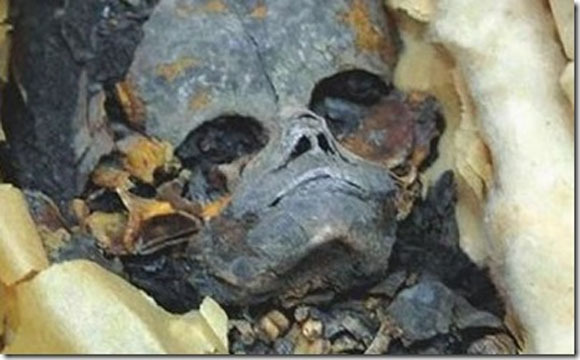 These remains like an alien strangers have created much controversy in the world. Some online sources said that this is a species-being for its fur and reptilian traits that characterize them, such as their eyes, too large and oval shaped. Inscriptions on the tomb of the mummy showed that the king was a counselor named Osirunet, meaning star or sent from heaven. 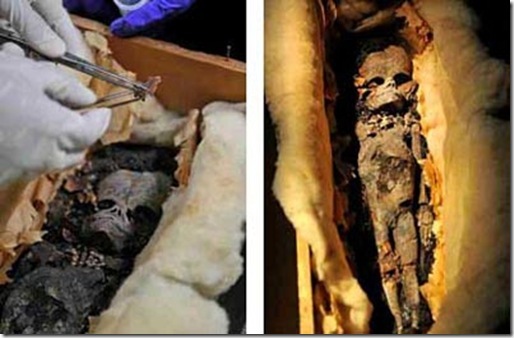 ” The mummified body was buried with great respect and care, accompanied by a number of strange objects far from the archaeological museum managers can not identify.